A world wide well known casino platform, that has a lot more to it, then you might first think of. When Unibet began in 1997, it was founded by Anders Ström and had a very simple goal in mind, share Anders’s sporting expertise to help other players make more informed bets. How different has his platform become now, where besides a very clear ‘sports betting department’, you can also go into a Casino, Live Casino, Games, Bingo and Poker section. A lot to choose from and with this review we will try to guide you through all the options. The website is well taken care of, with not too much loud bells and whistles. Something you will notice straight away, is that the website has it origin from sports betting. You will see that the first images in the slider are aimed at sports. But as they are very well known for their holistic approach of online gaming, their platform has an easy to use top menu where besides sports, you can select: casino, live casino, games, bingo and poker. One of the sliders as shown below, directs you to the online casino of Unibet. It is easy to use, has a clear layout and large selection to choose from in each section. It immediately becomes clear that the Unibet Casino is a more varied casino than most. The landing page is kept simple with little text, so you see everything at a glance. Unibet is part of the Kindred Group, one of the largest online gambling companies in the world. You can find out more about Kindred’s history, brands and career opportunities on their website. Unibet has also received several awards and is consistently recognised for its excellent products and proactive approach to Responsible Gaming. The website is licensed under the Malta Gaming Authority (MGA). This public regulatory body is responsible for the governance of all forms of gaming based in Malta. Find out more about the MGA. The overall performance of the website is good and makes it easy to find what you want. A ‘search games’ option at the top right and an option for you to like your favorite games, which will appear at the top. Each time you select a game, promotion or other option in the menu, the site will also show you a secundairy menu and relevant items. The pages load quickly without delays and the images are of decent quality. The most popular games or Unibet picks are shown above the fold. There are no long paragraph with text, flashy clips or dazzling images that can make too much of an impression. Unibet offers a multitude of features and wins, when playing online casino games. The online games environment drives on several designers, such as Stake Logic – Novomatic interaction, NetEnt, ELK-studio’s, Quickspin, Evolution Gaming and Thunderkick. But some of these deliver a much stronger and better looking experience than others. Based on performance, the website delivers. In addition to the clear landing page, a major emphasis is set on sports and the immediate aim to play some live games. You can watch sports matches and bet on them at the same time, but it is not difficult to find all the online casino possibillities. The button referring you to the registration page is on the top right of the page, but when you scroll down, this menu disappears. As a new player, I would not worry about it though. Furthermore the main menu at the top of the website has links to Deposit (which becomes a dropdown menu), Responsible Gaming, Promotions (per category), and Apps. This last one is mainly useful when operating on a mobile phone or tablet. Outside these hours you can contact Unibet via email or the international live chat, which operates 24/7. The page is fairly easy to use, but unfortunately Unibet has hidden the Live Chat option a little bit. Unibet’s Casino and Live Casino are open 24 hours a day. For the casino part this is not such a big surprise, but all the better for the live casino part. The Casino has a wide variety of games to play, 527 in total. From Slots, Table and Cards to Exclusives, Jackpots and Videopoker. The Casino lobby is home to the classics, with Roulette and Blackjack being a few clicks away. Enter the realm of incredible opportunities, as there are many cash prizes and jackpots to be won with Unibet’s casino and video slots. You will also be able to view several videos that will guide you through the different options or give explanations about certain games. You will also be able to take part in Unibet’s Casino Tournaments. The Casino Tournaments are a great way of earning rewards while playing your favourite games! A nice way to have the biggest win, the biggest multiplier on your bet (equalised) or the most bet rounds and earn some extra rewards. As many online casino’s use similar providers for their Live Casino, what is special about Unibet’s live casino? They do not only have English-speaking live dealers you can choose from, but there is also the possibility of playing at a table with German, Turkish, Swedish, Brittish and sometimes Dutch speaking live dealers. So which games to choose from? 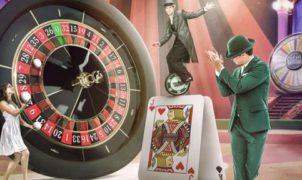 Unibet provides you with Roulette, Blackjack, Money Wheel, Baccarat, Ultimate Texas Holdem, Caribbean Stud Poker, Casino Hold’em and Three Card Poker. On the live casino page, a distinction is made between Casino Grande and Casino Royale. At Casino Royale, it is only possible to play Live Roulette or Live Blackjack. Unibet Casino uses two live casino software providers, namely NetEnt and Evolution Gaming Casino. If you click on one of the game buttons, you will get an overview of all the tables you can pick. For Live Roulette and Live Blackjack, this is a fair amount. Live Baccarat has a few and for Live Poker (Texas Holdem, Caribbean Stud, Casino Hold’em and Three Card) and Live Baccarat, there is only one to choose with each. If you want to try your luck at the Money Wheel, there is only one. For a lot of their Live Casino games, Unibet uses ‘branded’ dealers. This means they are wearing black with green, which gives you a trusted and recognizable feeling of the Casino. Regardless of the language, we noticed that their dealers are very talkative and make an extensive chat with you. When you send them a message in the chat, they respond to it and ask questions back. Some tend to have whole conversations about their hobbies and preferences, and others show a lot of interest in the players at their table. Although admitting that some do a very generic trick and just say “place your bets and good luck”. This is often done with Blackjack and Roulette. On top of that, perhaps with these dealers it is the noise in the background of other tables or the volume the dealer(s), but some dealers are more difficult to hear than others. Both male and female live dealers are available at Unibet’s live casino. By moving your mouse over one of the many games without clicking on it, an information bar shows up that displays the dealer’s name and image, this gives you the choice to which live dealer you will end up at the table. All of them wear professional casino clothing. If the native language is English, women are dressed a little more classic. They often wear a black dress when you are in the Evolution Gaming Casino. But it is possible to play at a table with a Dutch female live dealer, where you will see that they have a black dress with one bare shoulder, which makes it a little less formal. In addition to the external features that belong to the other live dealers, it is also apparent that Dutch live dealers are a little more direct and regularly make jokes. All of this gives a completely different experience and one might say it demonstrates less professionalism. We would say it just gives a different experience. At NetEnt, the clothing of the female live dealers depends on the game variant, but the dealers make a professional and thoughtful impression. Unibet provides two types of Blackjack tables, one where you sit at the table with (a maximum of) 7 players or one where you play one-on-one with the dealer. 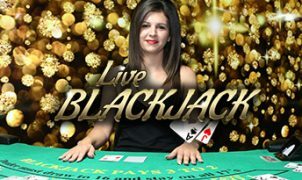 The best thing about live blackjack is that you’ll be playing against a real, live dealer to replicate the experience of a physical casino in the comfort of your own home or from anywhere you desire. With all Live Blackjack games, the view on the table and the dealer is the same, almost always it will always be straight forward. The tables have classic colors and there is little unnecessary information on display. Every round starts with a clear menu of the amount you want to bet and see who the other players are, what they do and if you want, place a side-bet with them. It is simple, rather quick – depending on the dealer – and always a little thrilling. For the gambler that wants to have a higher bidding possibility than that, there is one table that does €1000 – €5000 bet options. Again, ‘Grande’ offers the most possibilities and a different player experience than the other two. Both in the type of dealers as well as the option to play it in different languages (such as German, Russian, Swedish, Turkish or British). Some dealers are far more lively than others and sometimes it is very difficult to understand what certain generic dealers are saying. So if this is an important factor to you, keep that in mind. The game itself is super quick and every round takes about 30 seconds from showing the previous number up until the ball hitting the next number. You have about 12-15 seconds to place your new bet. As dealers only play a table for a set amount fo time, we cannot recommend to play certain tables, but as you have options, we would certainly recommend to just try a few or change tables if you feel it is not your lucky dealer or table. The ‘games’at Unibet come in all shapes and sizes. Scretch games, Keno, Arcade and Slots. Some of these have more of a active game to it – such as Mega Money Rush – where besides the money gaming element itself, there is also an ingame game. Others are a digital version of the physical machines as you might know them, such as the Slots or Scratch games. All together there are 61 games in this section of Unibets online casino. And with each of these you can ‘play for real’ or ‘play for fun’. So when you want to try it first or the money in your account is low, you can just have a try for fun. Unibet’s live casino itself offers special bonuses, but rarely welcome bonuses. They do however offer a ‘Refer a friend’ bonus. This means the casino offers you €100 cash for every successfully invited friend! But that’s not all, you can earn cash rewards for up to 5 friends, meaning you can earn no less than €500 cash. Do however, check the (general) terms and conditions you will have accept associated with paying your deposit and the associated bonus. If you first play at the Unibet Casino, you will not only receive a Welcome Bonus, but even a welcome pack will be selected for you. Included in this welcome pack are a 10 euro fee for free play and you win if you win 200 euros of bonuses. In addition, you can join the Unibet Open for free and play for free in the casino’s freerolls. As a starting casino player at Unibet Casino, your deposit will be tripled and you can participate in exclusive tournaments. Unibet offers Casino Promotions, Poker Promotions, Bingo Promotions and Sports Promotions. Some are aimed at a specific tournament, current event or certain games. Daily tournaments, gold cards and free spins are offered here. If you register a friend with Unibet, you will also benefit from it. Sign up now and see the benefits! Unibet only accepts customers and VIPs over 18 years of age and may perform appropriate verification checks to that end. They are renowned for offering a first class service to their most valuable players. Find out what Unibet can offer you and how you can join via their exclusive VIP Programme. Unibet works with a ‘VIP team’ that was founded on the philosophy of “By Players, For Players”. You will be assigned a carefully chosen account manager from a boutique team of 15. Your account manager will set out to understand your unique motivations, and use this knowledge to deliver a bespoke gambling experience both online and offline. They will also go that extra mile when you need something special done and need someone you can trust. The biggest benefit from this is that your assigned account manager has full access to a global network of connections and special benefits; you receive outstanding quality and a personalized and responsible service. A small list of the latest events Unibets VIPs recently been invited to are: the Monaco Grand Prix, attended the Champions League Final and got VIP privilege at every Unibet Open. Unibet can display everything in HD quality, both with NetEnt as well as Evolution Gaming (for the player to choose in the options menu). The cameras display a very fine image of the live dealer on your screen. However, with Live Roulette for instance, the dealer looks into different camera’s for the ‘multi camera view’. When chosing the ‘classic camera view’, you will notice the dealer looks away from you and focusses on a different angle. Nonetheless the quality of all the camera’s is just as sharp. Unibet has branded dealers with Evolution Gaming and a room filled with all the games. Thus it makes that the sound is still a little bit of everybody personal preference. You will hear background sounds of other tables dealing cards, roulette turning round or dealers speaking to the players at their table. And because it is also noticeable that all of them speak rather quick and not very clear, it is sometimes hard to understand what they say about the round. With NetEnt you play one-on-one and will hear a little bit of music and game sounds. All in all you would expect a little more from the overall presentation of Unibets Casino and Live Casino. But it is easy to find your way around the website and enough to choose from. For the Unibet Casino live chat option, click the Help Center option at the bottom of the screen. This may seem a bit cumbersome, as it might come across that they have hid the help/chat option, but via their extensive FAQ (Frequently Asked Questions) you might find your answer before have to speak to someone. But if needed you can choose to chat, call or email live. If you click on the live chat option, a popup screen will appear where you have to leave your name and email. After you do this, response is quick. When you have made some money or when you feel your luck has run out, you can withdraw your money. Unibet makes this rather simple. If you open your ‘My account’ page while logged in and select ‘Withdrawal’ you’ll see an overview of all the different ways that you can withdraw your money. You will also see the minimum and maximum limits for each type of withdrawal. You can always withdraw your funds to a bank account, a VISA card you have already used to make a deposit or to your e-wallet accounts such as Moneybookers and NETELLER. On the ‘Withdrawal’ page you can see how long each type of withdrawal will take to reach your account. If you withdraw money to your NETELLER or Moneybookers account it will arrive within 12 hours. A bank transfer or withdrawal to a credit or debit card will take 3-10 working days. Why wait? Register and play NOW!